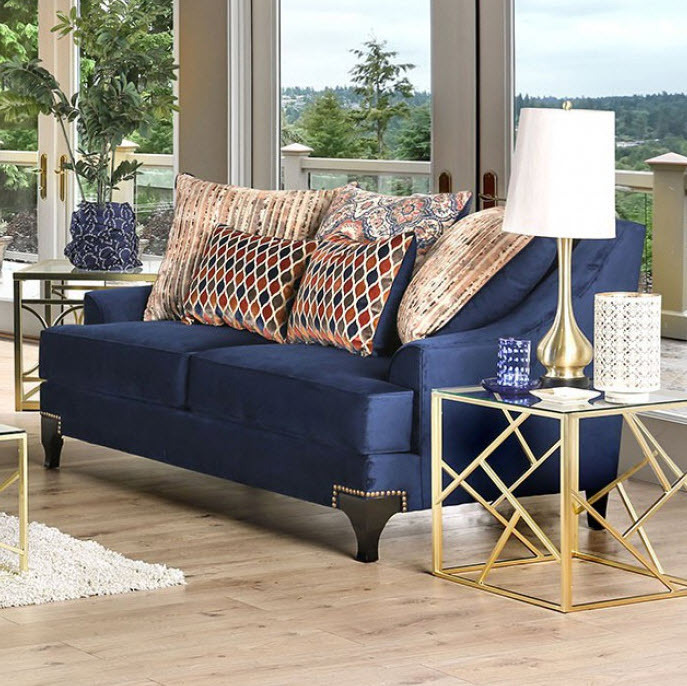 Low arms that sweep up to the back and a dainty nailhead trim dotting around the feet give this loveseat its stunning looks. The throw pillows feature a variety of designs that pop and give a stunning counter to the solid upholstery of the piece. 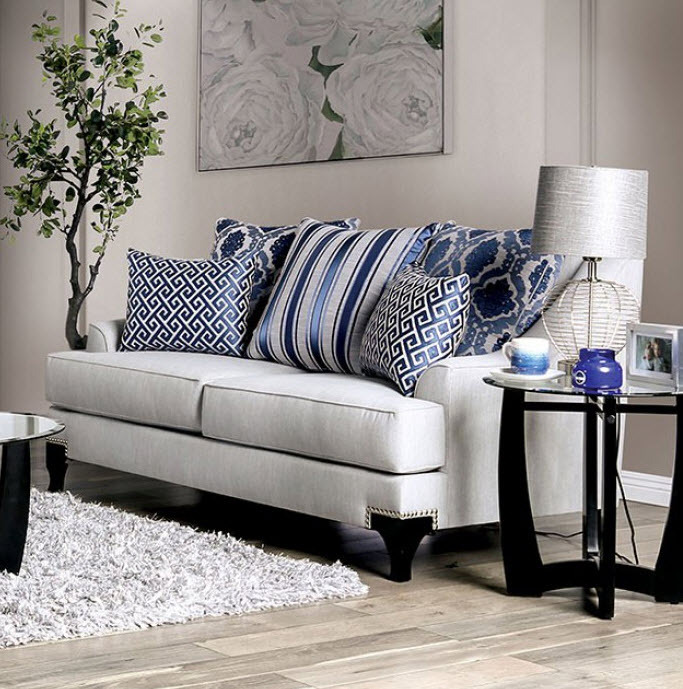 Comforting foam fills the plump box cushion seating and loose back pillows for an ultra comforting seat.